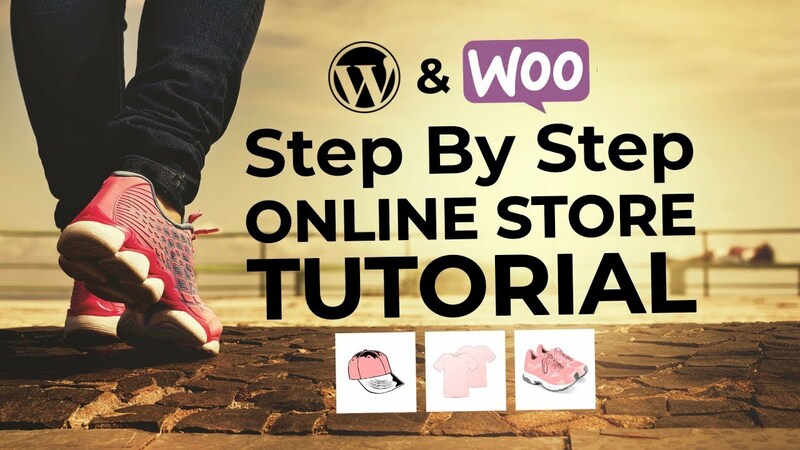 Looking for a new way to monetize a WordPress blog? Then why not accept PayPal donations with WordPress, so that your audience can show their appreciation for your efforts. It’s super-easy to setup, plus everyone has PayPal. Admittedly, this approach probably won’t make you rich overnight. However, if your website doesn’t naturally lend itself to generating ad revenues, selling products, and you have no services to offer, donations could be the best monetization option you have – or, if you run a non-profit, donations naturally align with your site’s goals. And even if you do have other monetization strategies, you still shouldn’t turn your nose up at donations – it’s more money in your pocket, with no extra effort on your part. 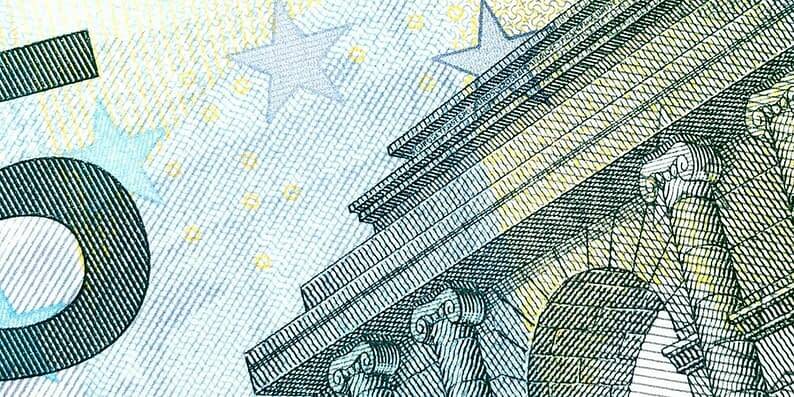 Even if visitor contributions only cover your site’s running costs, every little helps, right? Donations can also strengthen your bond with your audience. Every donation you receive means someone has dipped into their pockets to compliment the job you’re doing and the excellent, actionable content you write – so expect a warm, fuzzy glow with every one. Visitors who donate are likely to feel like they’ve contributed to your website, too, so expect them to become loyal followers. 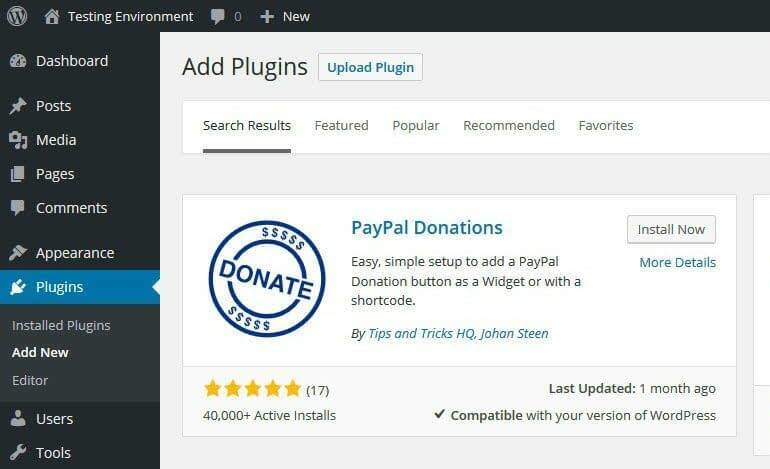 Today, I want to show you how to add PayPal donation buttons to any WordPress website, and thus collect PayPal donations with WordPress. To start, we need to install the plugin. Access the WordPress dashboard, then head to Plugins / Add New. From here, search for “PayPal Donations” and hit enter. You’re looking for the first plugin returned – hint: it’s the one by Tips and Tricks HQ and Johan Steen. Found it? Now press Install Now / Activate Plugin. The first field, PayPal Account, is by far the most important. It’s here that you need to input your PayPal email address or your Secure Merchant ID (found by logging into PayPal, then navigating to Profile / Profile and Settings). Double check you typed this field correctly, as this is where all donations are sent! Directly below, you can choose your preferred currency. Again, make sure this field is correct, as PayPal can apply some pretty hefty fees for any transactions not in your default currency. Here, you’ll be able to customize the default payment page, or create a new one from scratch by selecting Add. You can upload your own logo, add a header image, and change background images and colors. The design will still be relatively basic, but it will at least reflect your branding. When you’re done, return to the PayPal Donations settings screen, and paste the name of your custom payment page. Directly below, you can also select where customers are returned post-donation – I recommend creating a dedicated “Thank You” page. Next, we have another important section: choosing the default deposit amount. The amount chosen will have a significant psychological impact on your visitors, so choose wisely – pitch too high and you will appear greedy and put potential donators off; too low, and you’re leaving money on the table. I think the price of a cup of coffee is about the right amount, possibly reaching as high as $10. Or, if you don’t want to influence your readership in any shape or form, you can leave this field blank. At the bottom of this screen, you’ll be able to select your button style. The screenshot below displays the three options available to you, all instantly recognizable as “PayPal” buttons. If you’d prefer to flex your creative muscles, you can also upload a custom image to act as your donation button. When you’re done, hit Save Changes. There is a second tab, Advanced, with several optional fields for you to configure – including disabling PayPal statistics, opening PayPal in a new tab, and enabling sandbox mode for testing purposes. Each option is activated by ticking the relevant checkbox, then clicking Save Changes. At this point, we have a fully configured plugin! Now it’s time for the fun part: adding PayPal donations buttons to your website. 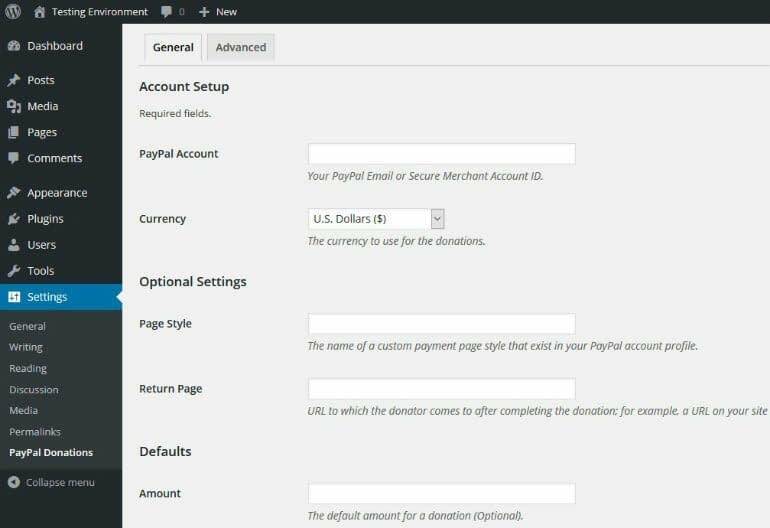 The PayPal Donations plugin offers two options: widget or shortcode. The widget option lets you add a donate button to any dedicated widget space – such as a footer or sidebar section. This is perfect for achieving maximum visibility, as your donation button will be seen on every page. Tip: most themes will automatically left-align the donate button, which can look a little clumsy. If you’d like to center-align the button, navigate to Settings / PayPal Donations / Advanced and tick the Theme CSS Override: Center Button option. This is the more flexible of the two options, as it allows you to dot donation buttons throughout your content and anywhere else on your site. And that concludes today’s tutorial on how to allow PayPal donations with WordPress through simple buttons. If you want to diversify your revenue streams, give it a go! 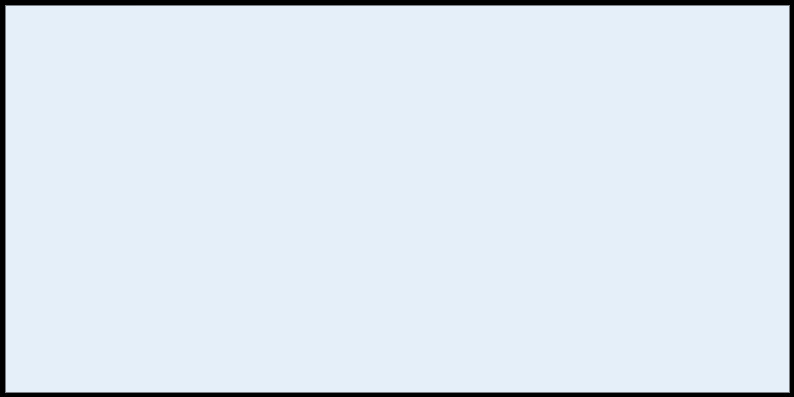 Have you had any success accepting PayPal donations from your visitors? Share your experiences in the comments below!